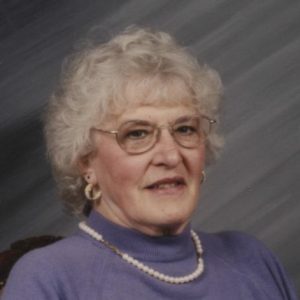 Julia Elizabeth Copley, 88, of Lowell, died Monday morning, April 8, 2019 at D’Youville Senior Care, Lowell. Julia was the wife of the late John J. Copley who died June 20, 2003. Born in Portsmouth, NH she was the daughter of the late Charles and Julia Hanson. Julia was a graduate of Portsmouth High School with the Class of 1948. She retired from Lowell Public Schools in 2002; where she worked in the Food Service Department at Lowell High School. She loved going out to lunch every Wednesday with the “Lunch Ladies”. She enjoyed knitting, baking, taking trips to the casino, and spending time with her family Julia is survived by her three sons, Robert and his wife Bertelle Copley of Williamsburg, VA, Paul and his wife Barbara Copley of Lowell, and Charles and his wife Patricia Copley of Billerica; two daughters, Karen and her husband Russell Garrison of Dracut, and Cheryl Copley of Lowell; a sister, Annamae Eldridge of Florida; twelve grandchildren and thirteen great grandchildren, and many nieces and nephews. She was the predeceased by her siblings the late Charles and James Hanson, the late Mary Richardson, the late Elizabeth Calham, the late Barbara Crossley, and her grandson, the late Douglas Copley. The family would like to thank the staff of D’Youville Senior Care for their professional care, love and support to Julia and their family. Visiting hours Wed. 3 to 7 P.M. Funeral Thurs. at 10:30 A.M. at the DOLAN FUNERAL HOME, 106 MIDDLESEX ST. CHELMSFORD. Burial in Lowell Cemetery. Memorials may be made in her name to a charity of one’s choice. ARRANGEMENTS BY DOLAN FUNERAL HOME 978-256-4040.
our heartfelt sympathies to the entire Copley family.We are so sorry we cant pay our respects since we are out of town.